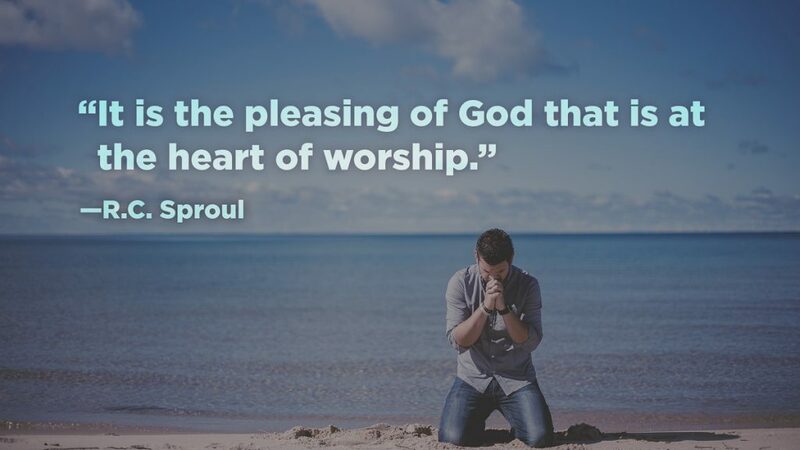 Worship is how we express our love, adoration, admiration, and wonder at God’s presence. 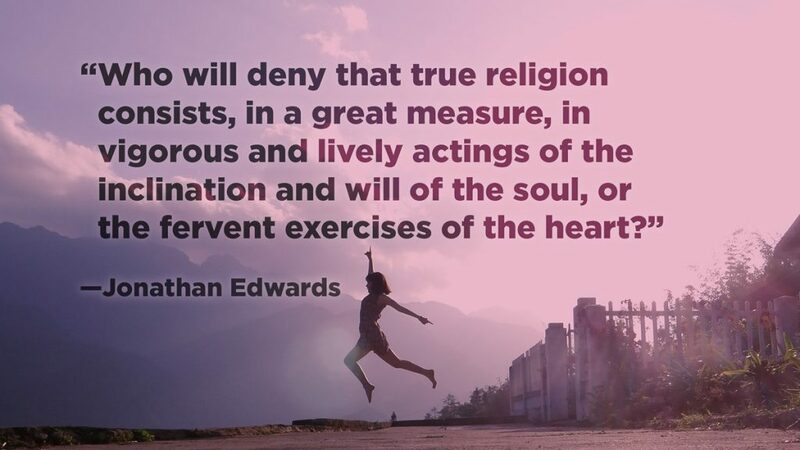 The Christian breathes in God’s goodness and exhales worship. For a lot of the church, worship has become synonymous with singing—but that’s just one way that worship expresses itself. True worship happens when our entire life becomes a declaration of trust in God’s incredible mercy. Someday worship will be an integral part of our everyday existence. It will not be an activity that comes from faith, but will be a natural response that arises from first-hand experience with the living God. 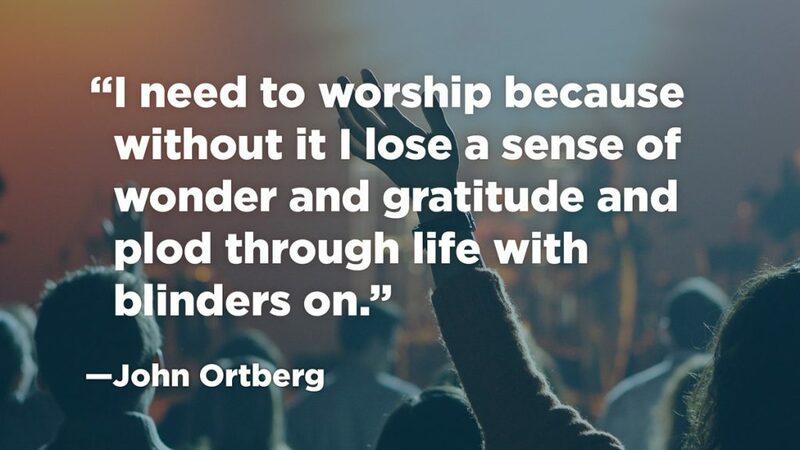 God uses worship to recenter our priorities and reestablish where our security lies. We can be taught why it’s important to praise and glorify God, but until it’s a regular part of our lives, we’ll never understand how God is using it to keep us focused. We live in an amazing world that doesn’t lack for awe-inspiring marvels of nature and technology. 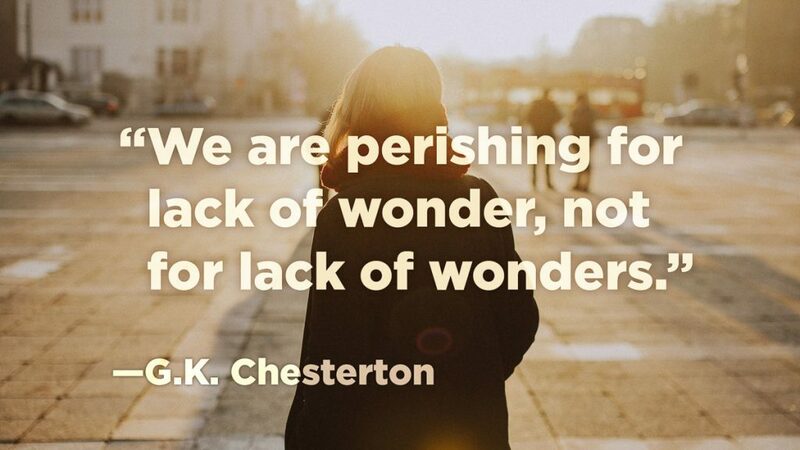 It’s critical that we don’t become deadened to wonder, because astonishment is a raw material for worship. The moment we lose that childlike sense of wonder, it’s hard to worship with any real vigor. It’s mindblowing to think that we can worship God for thousands of years and never exhaust the his worshipful attributes. 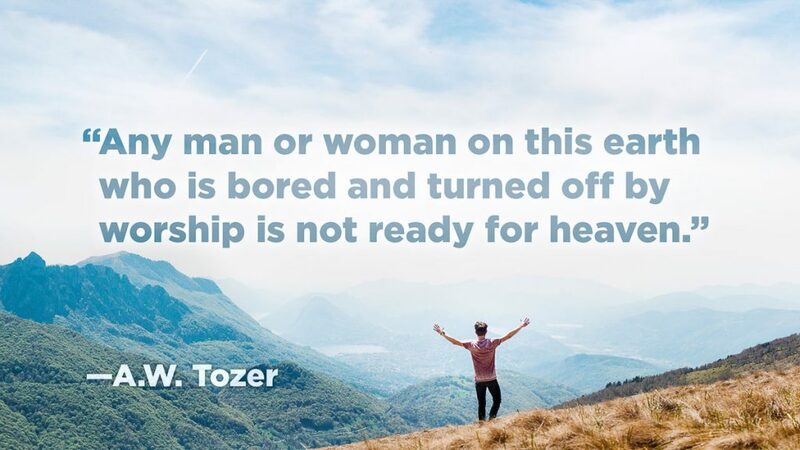 If we become bored with worship, it’s likely that we’ve lost sight of this truth. There’s a reason that nearly every culture and religion incorporates worship into the act of worship. Music stirs some portion of our hearts that intellect alone cannot touch. When you think about it, it’s strange that music should exist at all. 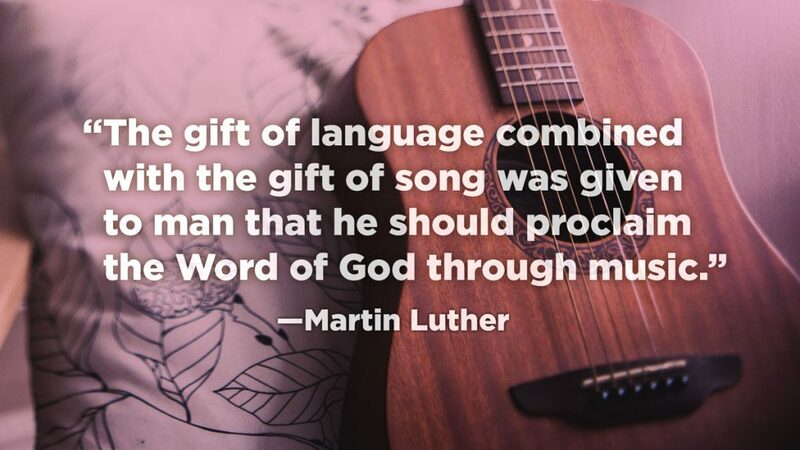 But somewhere, at some time, someone sang the first song—and it was a gift of God’s grace. 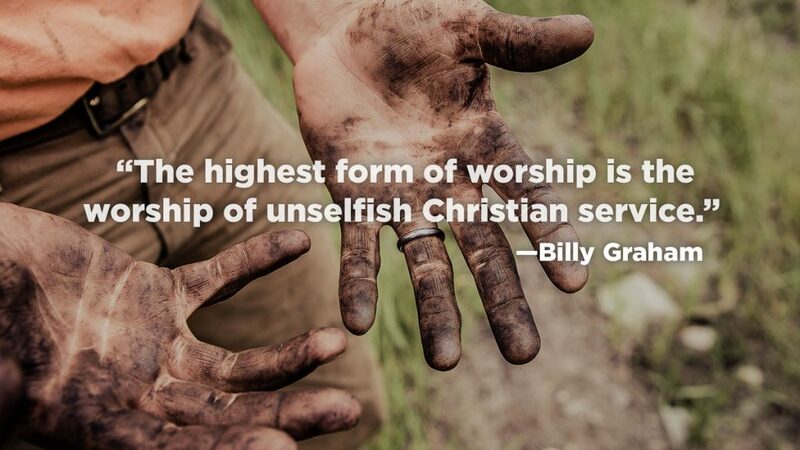 No one has to teach a Christian to worship God. In some way, every believer responds worshipfully to an encounter with God. It’s really the only rational response. 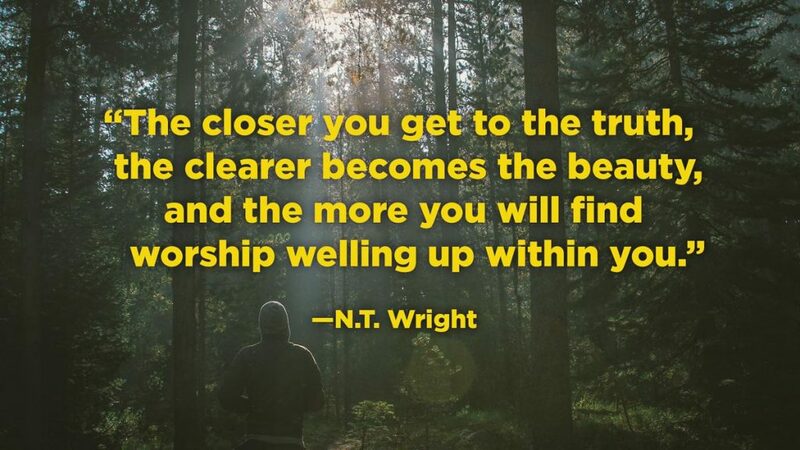 If we never feel those pulls toward worship, it might be a sign that we’re drifting away from our first love. There are times when something stirs in our hearts and everything inside of us responds in worship, but those are grace-filled promptings of the Spirit. 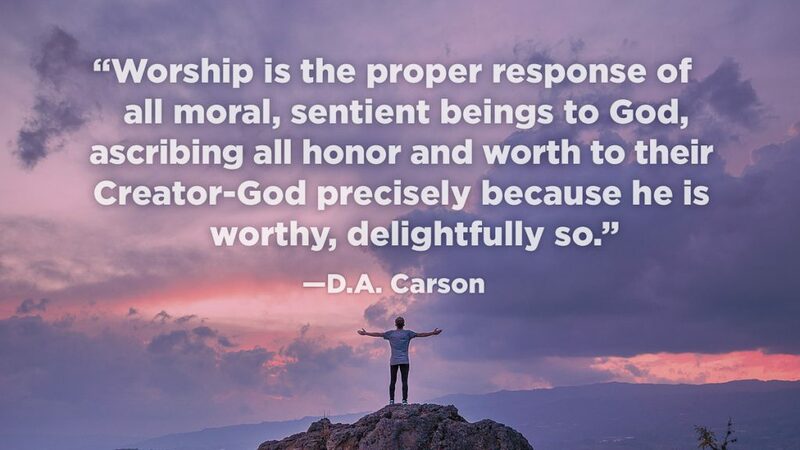 It’s important that we make worship a conscience choice, and a wilful act. While we all have personal preferences for the kinds of music we enjoy or the sort of environments we find most worshipful, our praise should be grounded in our common understanding of God from his word. If our understanding of God is poor, our worship will be too. It’s important that our worship comes out of an ever-increasing knowledge of who God is and what he has done for us. 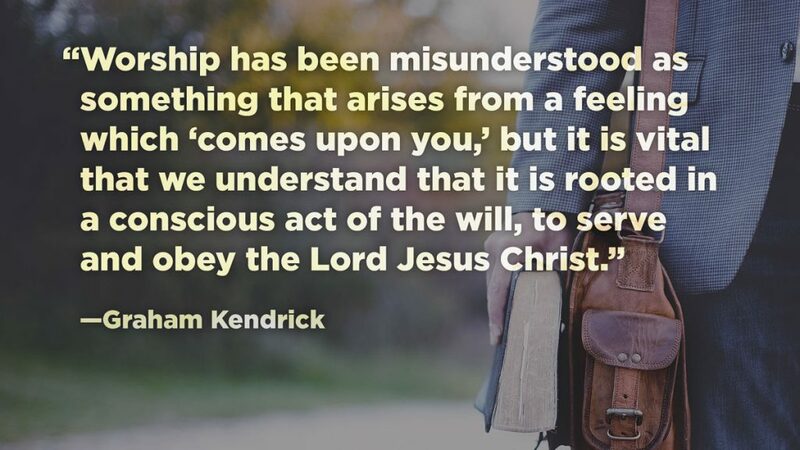 While our worship needs to be grounded in the Word and a right understanding of God, that doesn’t mean that it should be a purely intellectual enterprise. There are times when worship should touch our hearts so dramatically that an emotional response is only natural. 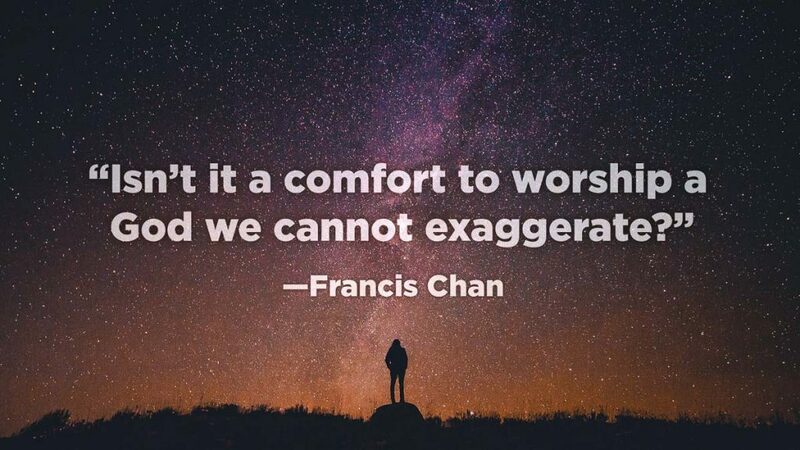 Everything we do can be an expression of worship. 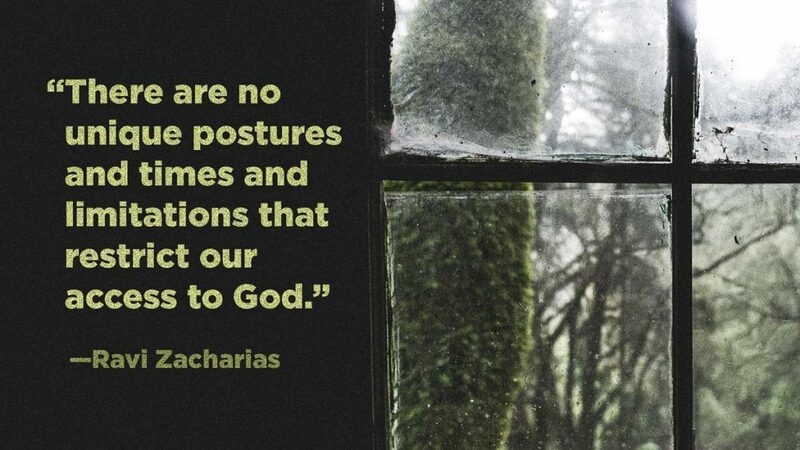 What matters is our posture towards God when we’re doing it. With the right attitude, digging a ditch can be as much an act of worship as attending a church service. There are no inconsequential activities. When we live lives of worship, every activity becomes infused with significance. 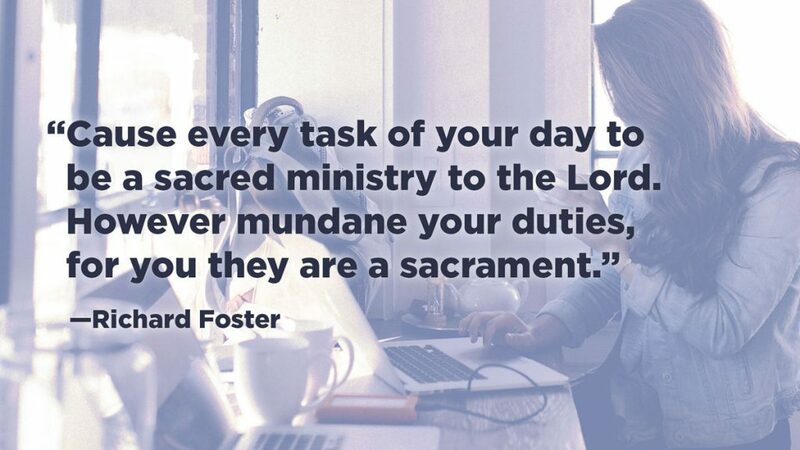 And we turn our daily activities into worship as we offer them to the Lord. 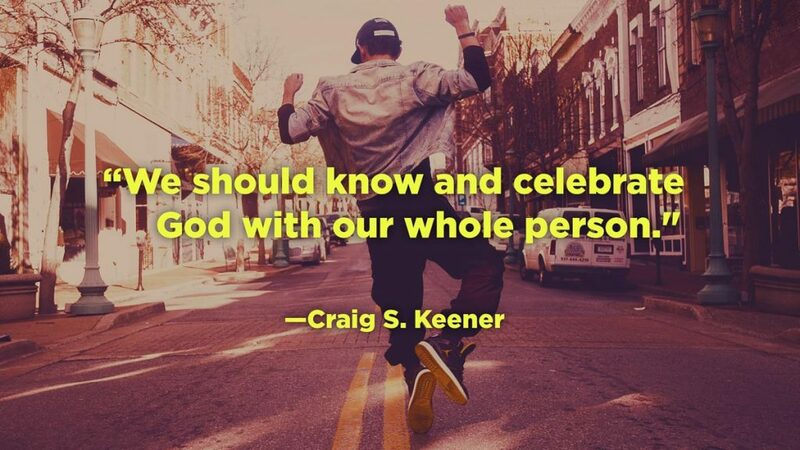 The reason that everything we do can be an act of worship is because God has made each one of us a temple where he dwells through the Holy Spirit. 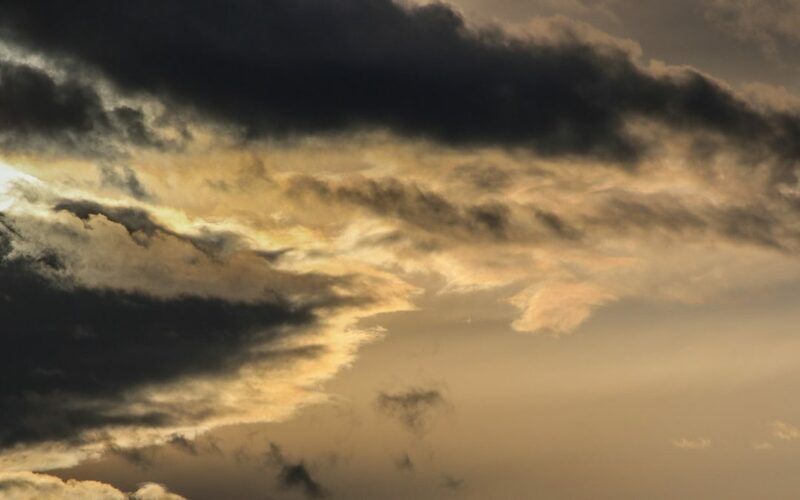 When we become aware of that presence, every moment of our day is sacred. Like food and water, worship is a necessary part of human existence. 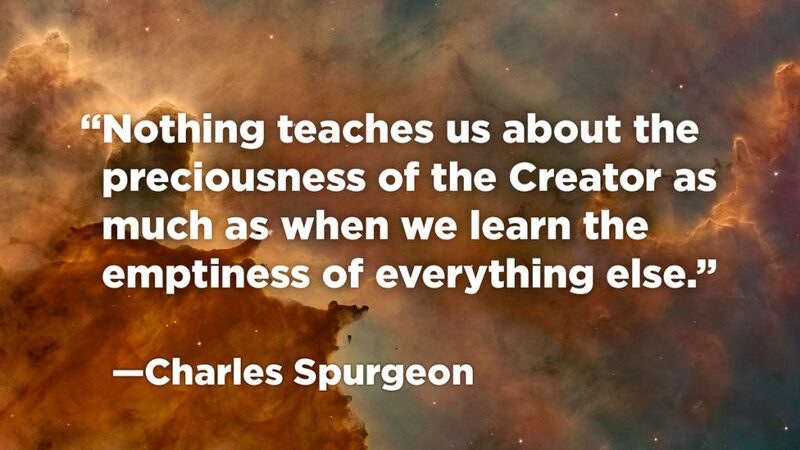 It’s easy to think that we can exist without it because we still exhibit all the outwards signs of life, but that’s not the existence we were created to have. We were created to flourish. 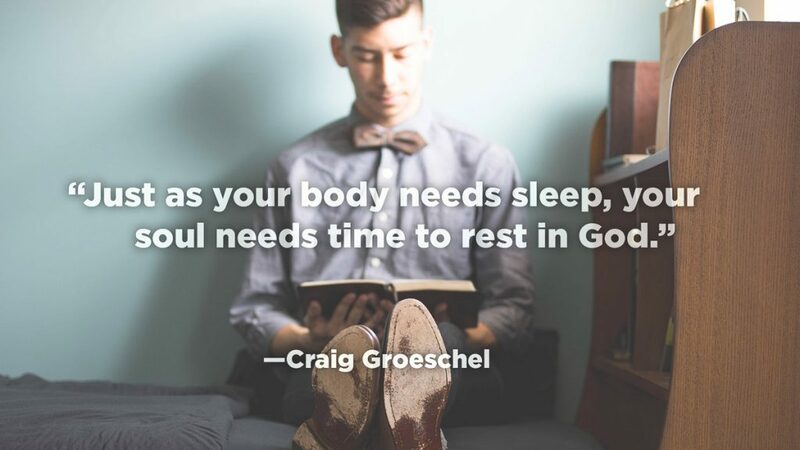 Paul reminds the Corinthians that they’re transformed by what they fix our attention on. (2 Cor. 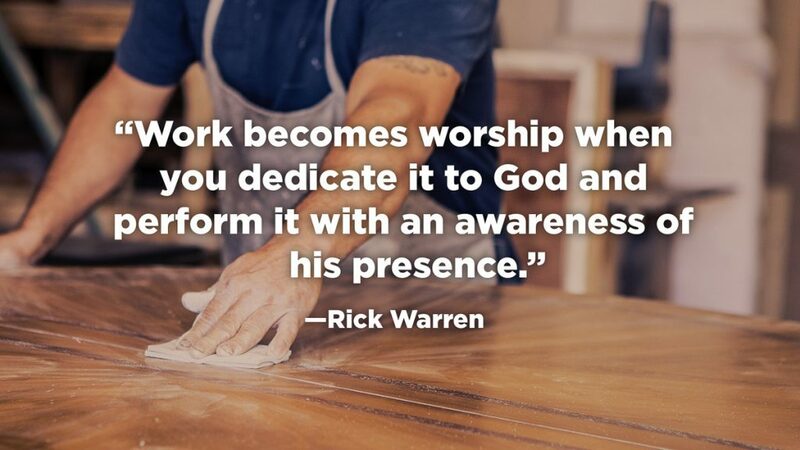 3:18) In this sense, worship is a tool that God is using to transform us. As we focus on glorifying him for his amazing attributes, we begin to reveal the same characteristics. When we worship God we develop such traits as forgiveness, tenderness, justice, righteousness, purity, kindness, and love. Worship cannot simply be about singing the songs we enjoy or doing our favorite activities. If that’s all it is, then it’s ultimately something we do for ourselves. By making ourselves living sacrifices, we remove ourselves from the equation and discover a worship that’s grounded in Christ. Worship should be an activity that is teaching us humility—and not an opportunity for self indulgence. Everyone in the world is worshiping something, because their spirits are hungry. For most people, their worship amounts to spiritual junk food. The world is longing to experience something truly worthy of praise. When they see us making ourselves living sacrifices in true worship, they discover the nourishment they’ve been starving for. It would be enough if our worship simply honored and magnified God, but he uses it to edify us as well. 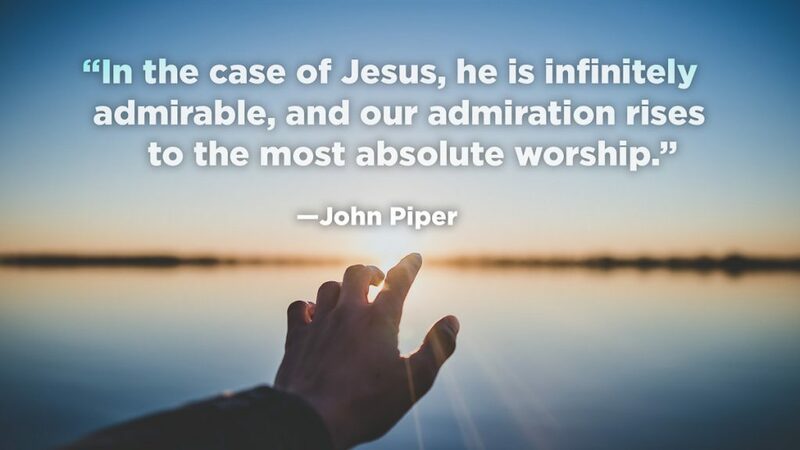 Worship prepares us to spend eternity with Christ by drawing us closer to him, making us more aware of his amazing attributes, and conforming us to his image. If you’re interested in discovering what the Bible says about worship, check out the post 20 Bible Verses about Worship. Get free media for your church presentations, worship sets, and more! I really enjoyed the above presentation. I had a thought. You could minister to many people through this type of email service. I wish there were many more people that could and would prepare presentations like this. Thanks for the encouragement. 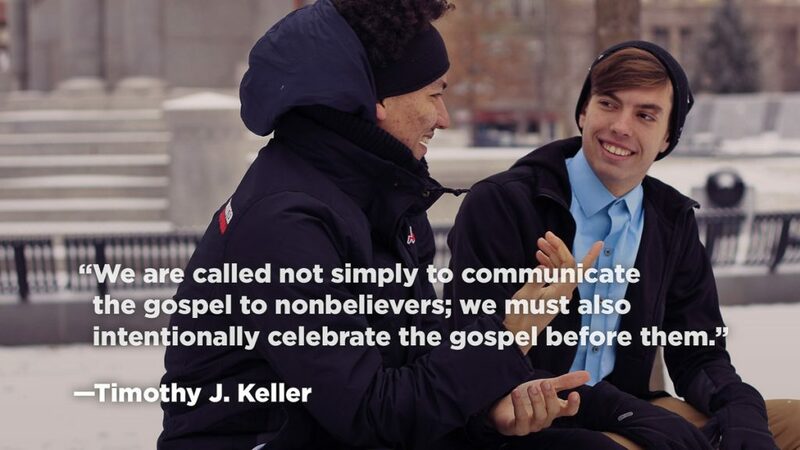 We love sharing things like this for all believers. Feel free to share with any of your friends or on Social Media. Be blessed! This is very encouraging, every worship leader deserves to read this. Hence, I’m going to pass it on to others who I know.. God bless you, as you continue the good work. Thanks, Francine, for the comment. We love serving the church with great resources like this. Be blessed! Our pleasure! Jayson (who wrote the article) does a great job with some amazing insight into scripture and worship. Be blessed! The author of this article, Jayson D. Bradley, said some pretty profound things. Is it ok if I make quote graphics using some of his words? For example: “There are no inconsequential activities. When we live lives of worship, every activity becomes infused with significance. And we turn our daily activities into worship as we offer them to the Lord.” Good stuff right there! Heather – of course! Jayson is awesome with words so feel free to use that as needed. Be blessed! Thank you for this post. What font is used on the slides? Mfon – We are glad you found this to be encouraging. Know that there are believers praying for you and we know that true worship can occur no matter where you are. Be blessed! This is just but great hear,thank you so much for this information. This presentation on worship is really touching. I’m Vincent from Ghana and love to worship God with words of praise.Good work done. Loved this SO much! 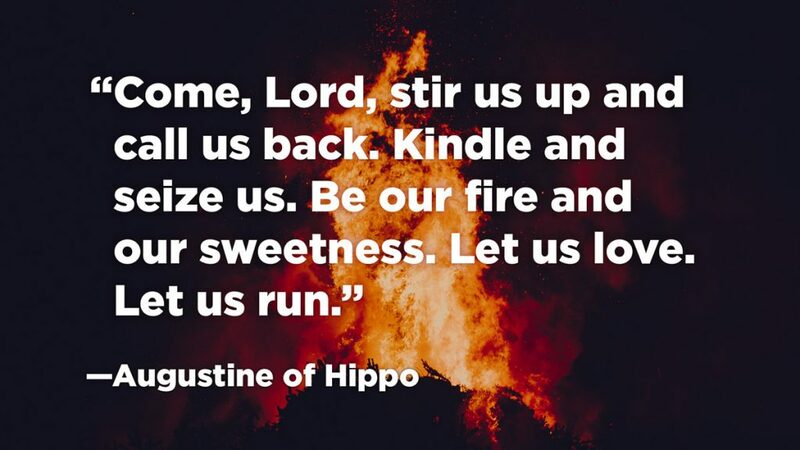 I am presently researching the connections between worship & prayer, worship & service, and worship through song and this was moving. Thank you! Our pleasure! Feel free to use anything you need. Be blessed! Hey, i was looking for a quote for my workplace worship week and number 5 by C Spurgeon did it for me,Thanks a lot for sharing this amazing truths!! Our pleasure! We are glad this can be a blessing! Have an awesome week! Our pleasure! Feel free to use them in your church as well. Be blessed! Thank you all for inspiring words of wisdom I enjoyed and I am uplifted. I’m really encouraged to worship my creator.